There are so many gear companies out there, sometimes it’s hard to really understand what makes one different from another. But Shot Race Gear makes that pretty easy. The main area of focus for everything Shot makes is weight - or lack thereof. There goal is to have the lightest weight gear on the market and while we haven’t weighed every set of motocross pants available, the Shot Devo pant comes in at a feathery 510 grams (1.1 lb). For 2019 Shot Race Gear has three lines of gear complemented by a helmet in two styles, two kinds of goggles, one adult boot, as well as youth, gear, helmet, and boot. We didn’t get a chance to try the helmet, goggles, or boots - they just had the media trying out their gear lines. Based on the prices, these items seem to be targeted squarely at the entry-level and/or more casual rider. The DEVO Ultimate line is Shot’s no-frills, super lightweight gear set for what they call the “rookie rider.” It doesn’t have as much stretch or as much ventilation as the other lines of motocross gear but it is the lightest and still has stretch panels in the knees and crotch. The CONTACT Score gear is the next step up and has more stretch in strategic places but is just a hair heavier than the DEVO. The pants have four-way stretch in the crotch for more leg mobility and there are lycra panels in the shoulders of the jersey to let the slimmer sleeves move as you ride. This is Shot’s premier line of gear and is what they call “pro rider” status. 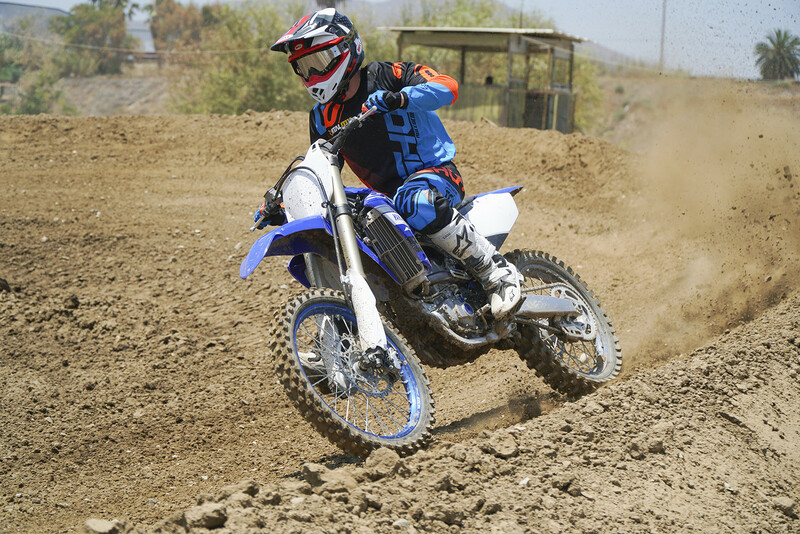 This line of motocross gear has the most stretch and ventilation of all the gear. The stretch panels in the yoke, crotch and knees of the pant are a firmer, more durable material than the standard black, accordion stretch weave material on the other gear. This gear also has a much slimmer fit that is similar to top-tier gear from other gear companies. We have a set of the AEROLITE Delta gear and will be putting it to the test in the next couple months, so check back for a full review.